A very Happy New Year to all our followers for 2018! It has seemed like a quiet few weeks here at the gardens, as the final week last year was curtailed due to the snow and cold weather. 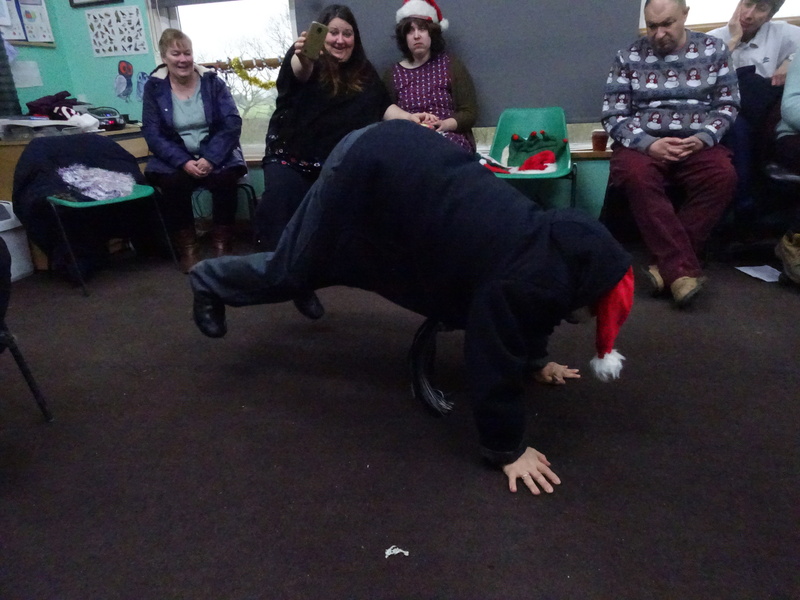 However, we were able to celebrate an award for one of our volunteers, Carlton, who has contributed greatly to our activities over time. 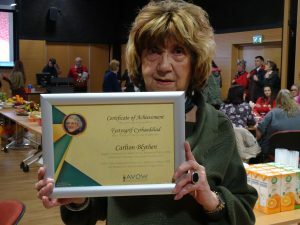 Carlton’s mum Pat: Ann and Kelly attended a luncheon Christmas Reception convened by AVOW at the Catrin Finch Centre on Friday 15th December, where volunteers all over Wrexham were awarded for their work. 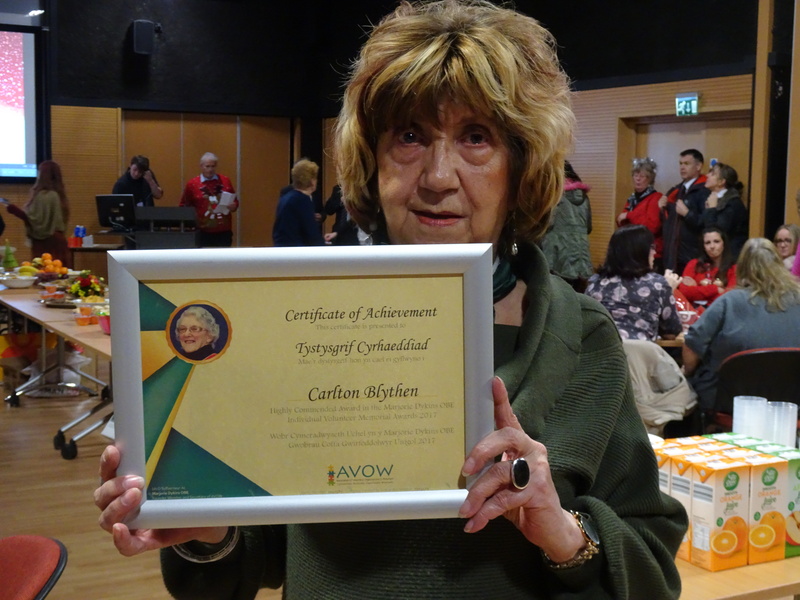 Here you can see Pat holding the Marjorie Dykins Volunteer Memorial Award Certificate, which she collected from the Major of Wrexham, on behalf of Carlton. The contribution made by our volunteers is fundamental to the running of the Charity. 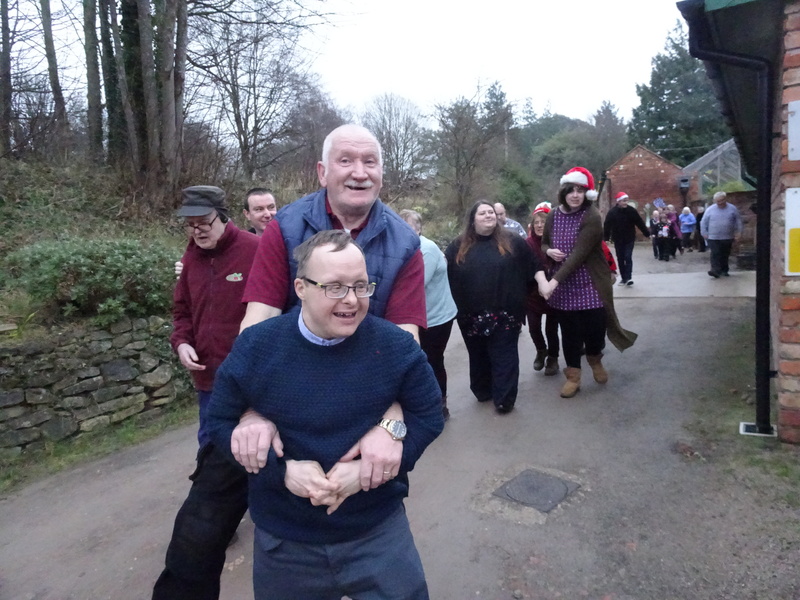 Carlton is one of 40 volunteers who attend the gardens regularly, who help by working in the gardens; by helping in maintenance and landscaping projects; by helping in administration/planning an event; or by supporting a beneficiary achieve something. 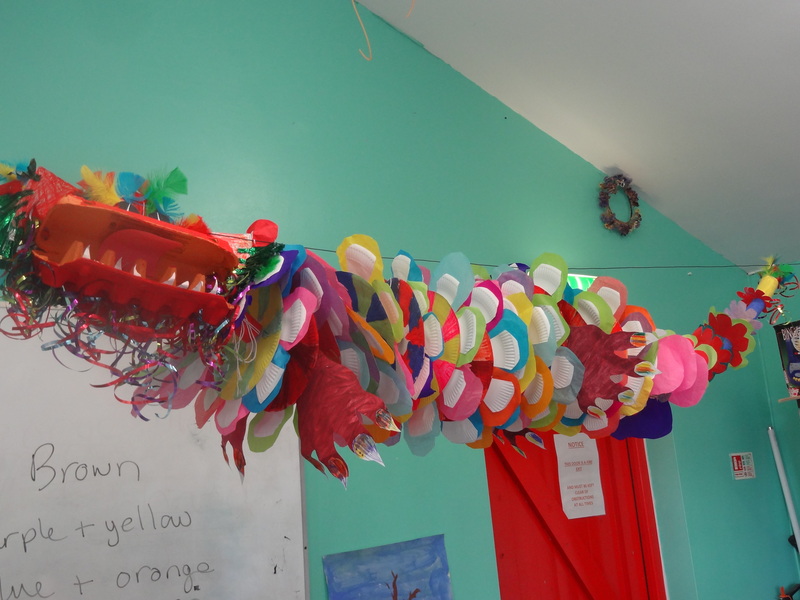 We are currently looking for (maybe) 2 enthusiastic and creative volunteers who would be willing to deliver an art/craft session for one morning to between 4 and 6 ‘students’. 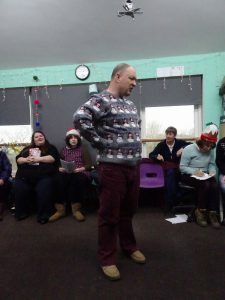 (currently Monday mornings and Friday mornings are available) The activity would be planned by the volunteer, but we have lots of ideas too, and our students enjoy trying out most things! 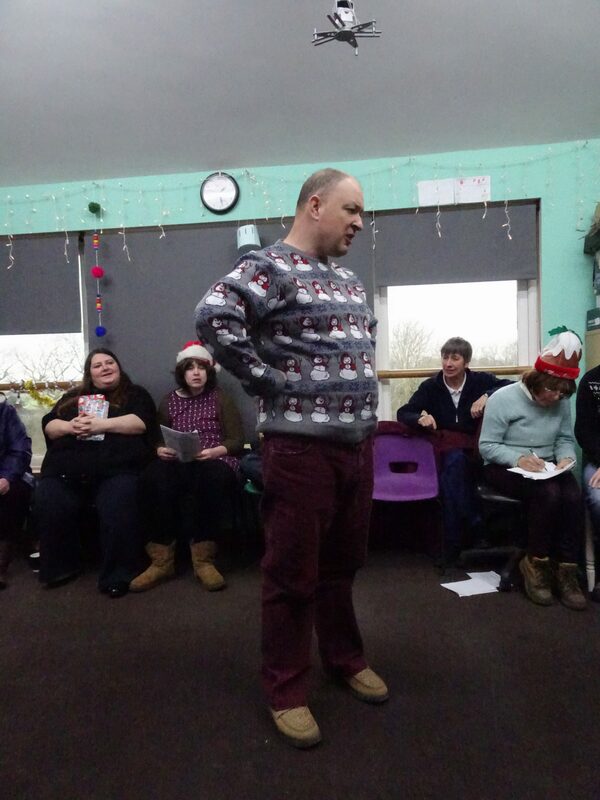 Some students have support, so there will be lots of help! 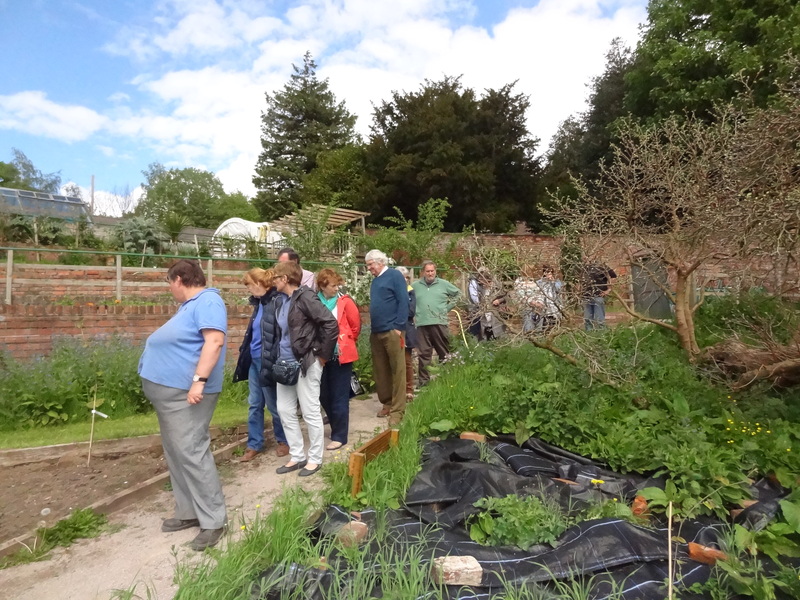 If you would be interested to learn more, then please phone either Libby, Jane or Ann on 01978265058. (Some examples of the student’s art work can also be seen on this web-site). 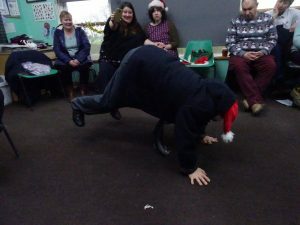 Finally, just a few more pictures of our ‘postponed’ Christmas Party, which was held on Tuesday 9th January 2018. 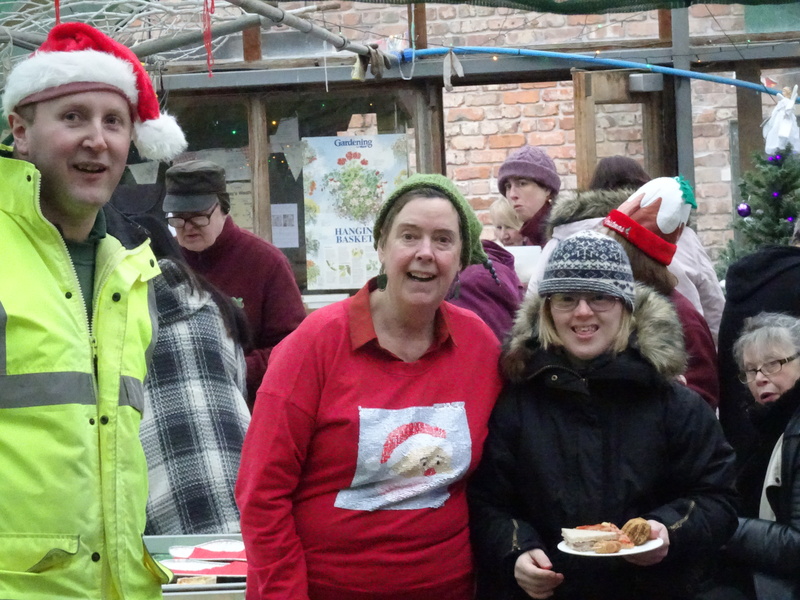 Greg, Ann and Emily enjoy a scrumptious Xmas Buffet in the greenhouse. 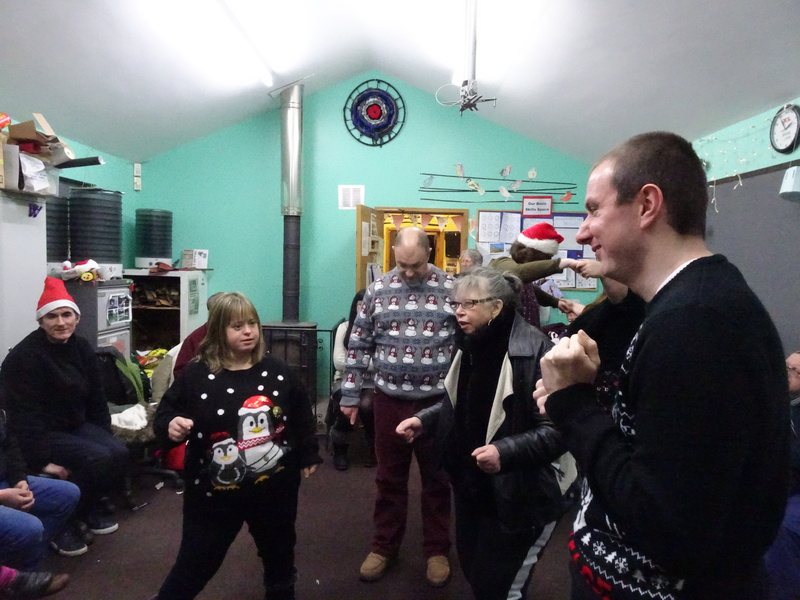 Damon leads the happy dancers in the ‘musical statues’ game. 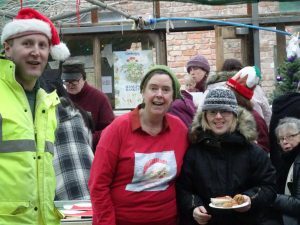 These pictures are just some of the reasons that you should consider becoming a volunteer at EVWG for 2018! Previous Previous post: Winter has certainly arrived at the Gardens. Next Next post: Keeping Busy in January at EVWG.